Do you ever notice that you react more to hot or cold foods, drinks, and sweets? Especially after you eat or drink something acidic? This could be a sign that your tooth enamel is eroding. Tooth enamel is a translucent, hard, outer layer that protects your teeth from daily wear and tear. It also keeps you from feeling temperature extremes from the hot and cold things you eat and drink. Enamel blocks acids and chemicals that can damage your teeth, but it’s not invulnerable. Each time we eat or drink anything acidic, the enamel on our teeth becomes softer for a short while, losing some of its mineral content. Slowly, our saliva cancels out this acidity and returns our mouths back to their natural balance. If our teeth are exposed to acid too often, though, our mouths don’t have a chance to repair themselves. Tiny bits of enamel can be brushed away and lost! Over time, the surface of our teeth begins to break down, exposing the nerves inside to hot and cold through the cracks in our enamel. Fortunately, it’s not difficult to avoid this fate. There are easy steps we can take to protect our enamel! Read on to find out how. Enamel exists to protect your teeth from daily use such as chewing, biting, crunching, and grinding in addition to insulating the teeth from potentially painful temperatures and chemicals. Unlike a broken bone that can be healed, once a tooth chips or breaks, the damage is permanent. Because enamel has no living cells, the body cannot repair chipped or cracked enamel. Tooth erosion happens when acids wear away the enamel on teeth. Acids can be introduced to your mouth by drinking soft drinks, drinking fruit juice, a diet high in sugars and starches, acid reflux disease, gastrointestinal disease, medications, and genetic factors. Some people’s genetics affect the brittleness of their enamel. 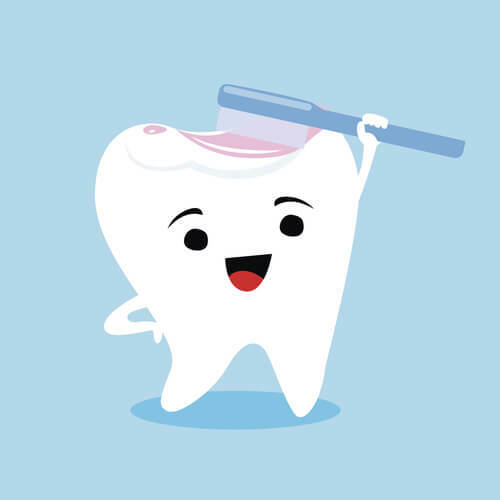 The best way to protect your tooth enamel is to maintain proper oral hygiene: brush, floss, and rinse with a fluoride and antiseptic mouthwash daily. Be sure to visit your Discover Dental dentist in the Heights every six months for regular checkups and cleaning. It’s also a good idea to eliminate highly acidic foods and drinks from your regular diet, especially soft drinks. When you do indulge, drink through a straw. Fluoride strengthens your teeth, so using toothpaste and mouthwash rich in fluoride can help you maintain the surfaces of your teeth. Are you concerned about your tooth enamel or want to get it checked out by a dentist? Discover Dental is here to help! Call us today to set an appointment for a free consultation about your teeth. We can create a custom plan to improve your oral health, not matter how good or bad it is currently. We really care about our patients!